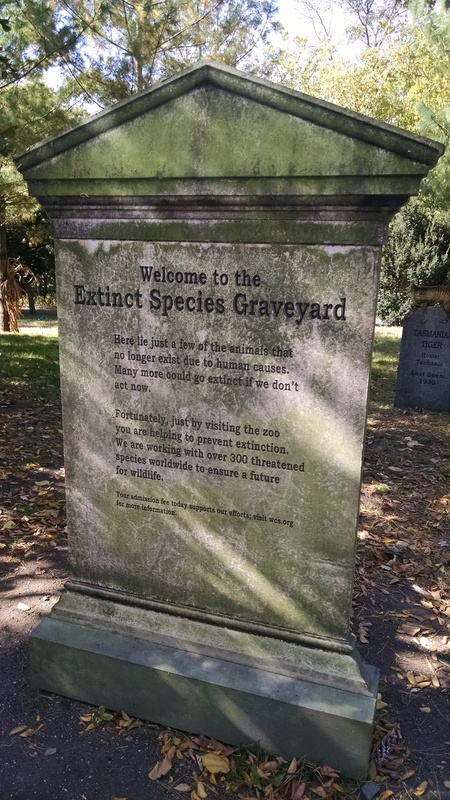 The Extinct Species Graveyard at the Bronx Zoo’s BOO AT THE ZOO Event was fascinating–and sad. Nathan and I love to visit the Bronx Zoo, which is just about an hour from our house—it’s like being on vacation for a day, and it could be said the zoo is part of our lives (we’ve “financially adopted” many of their animals over the years, everything from a bat to a Madagascar Hissing Cockroach we named Mountain King). Since we’re members, we try to make it down for the zoo’s special events throughout the year. 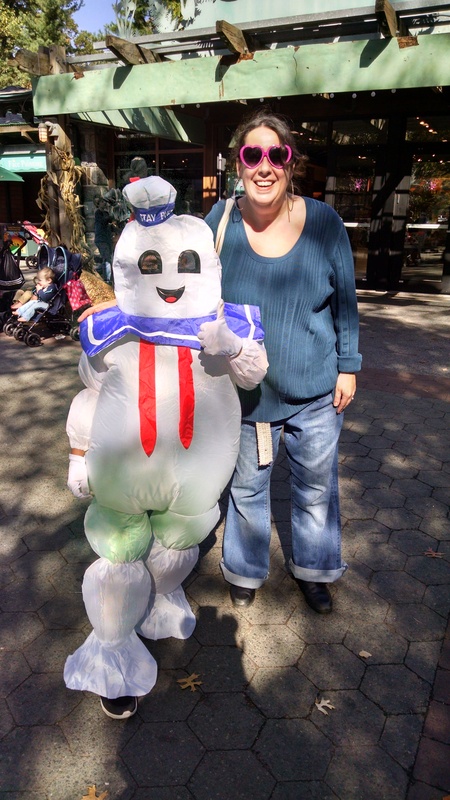 October brought Boo at the Zoo: weekends full of activities such as a beer garden, pumpkin carving demonstration, not-really hay rides, marshmallow roasting pits, candy trails, a corn maze—and my favorite, a Haunted Forest in the abandoned World of Darkness Building. Little known fact about me? It was my first-ever walk-through Haunted House, and I did pretty well! It was lots of fun to see kids in costume. Look who I ran into in New York City! …and to visit our hissing cockroach, Mountain King. Check out Mountain King! He is clearly aptly named. Look how large he is compared to the others, and a spectacular gold color (which you can’t really see in this terrible light). 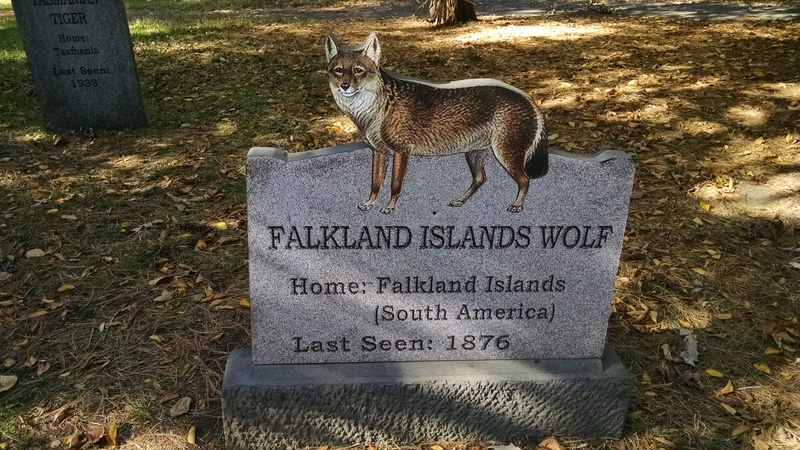 The exhibit that struck me most was the Extinct Species Graveyard, which was set up in a little-used grove of trees next to The Mouse House. It wasn’t there for a Halloween thrill, nor was it there as just another decoration to fill up space; it seemed part educational, and part memorial. I was surprised by the profound sense of sadness I felt as we wandered through the headstones. The graveyard was located on a perfect, flat, shady — and unused the rest of the year — spot next to The Mouse House. The area where this was set up made it feel real.